The Bed Request & Management System is designed to help hospital staff deliver high levels of care to patients by providing real-time information to bed managers, ward staff, doctors etc., so optimising communication efficiency between all staff. 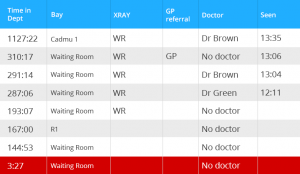 Categorised bed requests for urgent beds, repats, electives etc., so reducing wait times. At-a-glance view of current state of beds in all wards. Direct transfer to certain wards as needed. Patients can be queued for beds, so improving patient care. The Klok A&E ‘traffic-light’ based monitoring system allows staff to avoid breaches of the 4-hour rule and tracks patients in real-time as they are moved around the hospital. Colour coded at-a-glance display showing patient wait times. Overall statistics of department performance. Allocate and track patients through departments / bays. Online storage and recall of patient details. Link to discharge letter, so reducing delayed discharges. Blueberry Health’s Electronic Discharge Letters is an easy-to-use system designed to help health personnel to produce discharge letters quickly and easily. The system allows letters to be saved as draft or final version, or they can be automatically printed and sent. Automatically produced from patient details. Two different versions – inpatients and ED. Can be sent electronically or printed. Stored with the patient’s details for future reference. The Prescription System efficiently and securely handles the prescription of controlled drugs using an electronic TTO, in adherence and compliance with legislation. Complete dose information can be entered on the system, including quantity, route, frequency, duration and notes. Built in pharmacy approval system. Prescriptions automatically added to discharge letters. 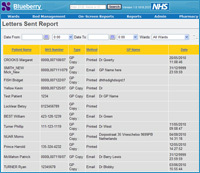 Blueberry’s Admission System accurately records patient arrivals and allows for priority planning. It includes at-a-glance view of patient waiting times to improve the throughput from A&E using a foolproof traffic light system. Fully integrated with PAS for admissions and ward attenders. 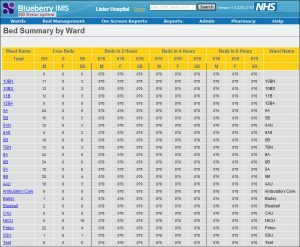 The Ward Flow System is a colour-coded bed allocation system for patient arrivals or transfer and priority planning. 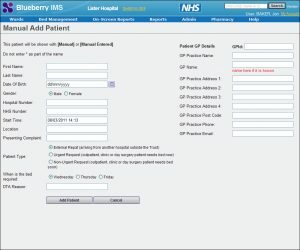 Patient details can be edited on screen using a ‘Drag and Drop’ system to transfer a patient to a different bed. 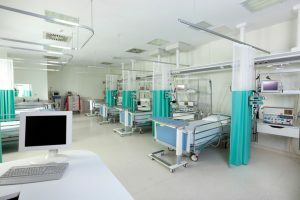 Customisable ward layout using bays, beds and side rooms. Table view showing key patient details. Bed view showing ward layout and summary patient details. Pending arrivals list, booked beds display etc. Colour coding warning for potential EDD time breach.